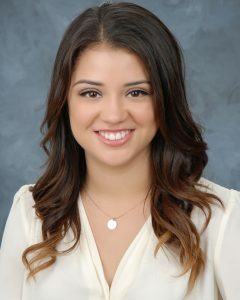 Cynthia N. Ramirez, a 2013 program participant at Duke University. Today, she is a doctoral student in the Health Behavior Research PhD program at Keck School of Medicine of USC. I wanted to prove myself and to others that a female, first generation Latina with a learning disability could excel in the field of health sciences. At eleven years old, my parents moved my brother and I to an area of extensive academic opportunities. Coming from a school district of predominantly first generation Americans with high school graduation rates as low as 40%, my academic background was significantly inferior to that of my new peers. I was repeatedly told that my academic background and learning disability would hinder my chances of getting into colleges. I was handed pamphlets to prestigious community colleges during career counseling appointments while my peers received pamphlets to four-year institutions. I wanted to prove to myself that I was just as capable of succeeding in academics as my peers and decided to pursue my dream of serving others as a health care professional. In 2015, I graduated from the University of Southern California with a B.S. in health promotion and disease prevention. In 2016, I went on to pursue my M.P.H in epidemiology and biostatistics. My family and community are my #1 source of inspiration. My parents are immigrants and came to the U.S. at a young age. They never had the opportunity to pursue an education like my brother and I. I am infinitely thankful to my family and community for their support as I pursue higher education. I am the first in my family to do so. So many people have made invaluable sacrifices that have allowed me to become the professional I am today. My success is their success and that is what keeps me motivated to make something of myself. I have continuously struggled with a learning disability and ADHD. Some days I am more confident than others. It is a daily struggle overcoming the symptoms and anxieties surrounding my diagnosis, but I’m learning to harness it as a unique strength. Not only am I a first-generation American and Latina, I am also an individual with a diagnosed learning disability. I am a success story representing a variety of underrepresented groups, which I am very proud of. I work in Los Angeles, California where there is a large Spanish speaking population. I am constantly amazed at how rare and difficult it is to find Principle Investigators who speak Spanish. There are several research assistants who are of color and speak Spanish but finding memories in positions of power in the research world is very rare. I want to see that changed. If you had the opportunity to talk to a health professional student, what you you tell him/her? Educate yourself on health disparities research and cultures around the world. It is so important for us as health professionals to take the time to educate ourselves on the populations that we are serving – not “working on”. We are working with and serving individuals for a living. I believe in order to do so respectfully and appropriately, it is incredibly important to be culturally sensitive, competent, and aware. I remember looking around and feeling a wave of nerves go through my body. I wanted so badly to be successful in my studies and maximize my experience. I knew I only had a short amount of time in school. I was one hundred percent dedicated to making it count. Shortly afterwards, my nerves changed to feelings of excitement.